An innovative coastal sailing jacket packed with fantastic features that will keep you warm and dry whatever the weather. Read more.. This coastal jacket uses innovative technology within the fabric to make sure your kept warm and dry even in the harshest environments. 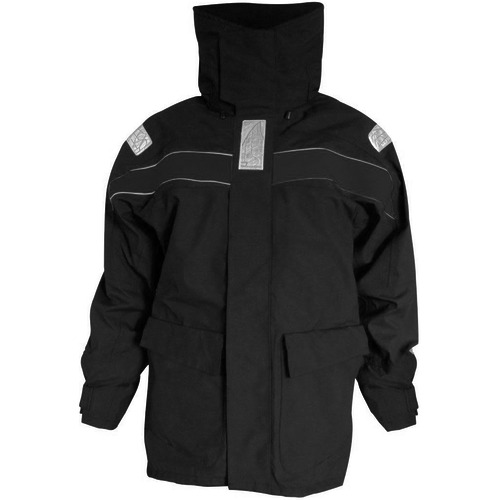 Compromising of two layers of hydrophobic material coated shell the Jacket still allows the Jacket to breath whilst remaining durable, robust and fully waterproof. Added features of the Jacket you get a fleeced lined collar, hand warming pockets and a fluorescent roll away hood to ensure you are fully protected from the elements. Fluorescent roll away hood with face adjustment. Fleece lined collar for ultimate comfort and warmth. Two cargo pockets with water resistant zip closure.